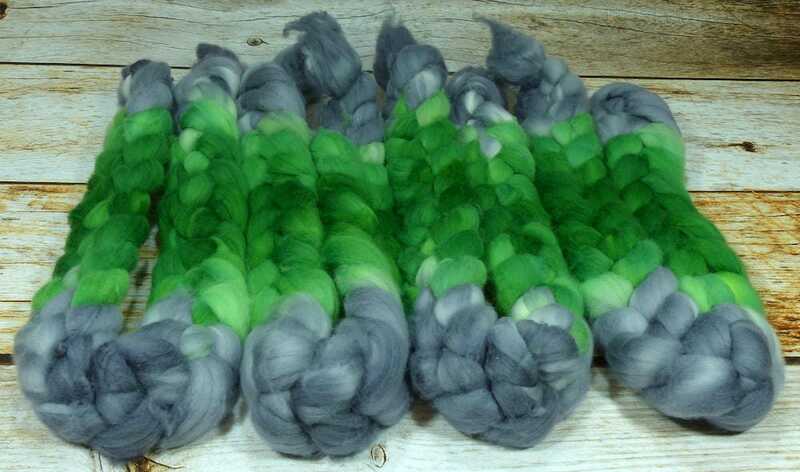 Moss On Slate / Handpainted SW Merino Combed Top/ 4 oz. 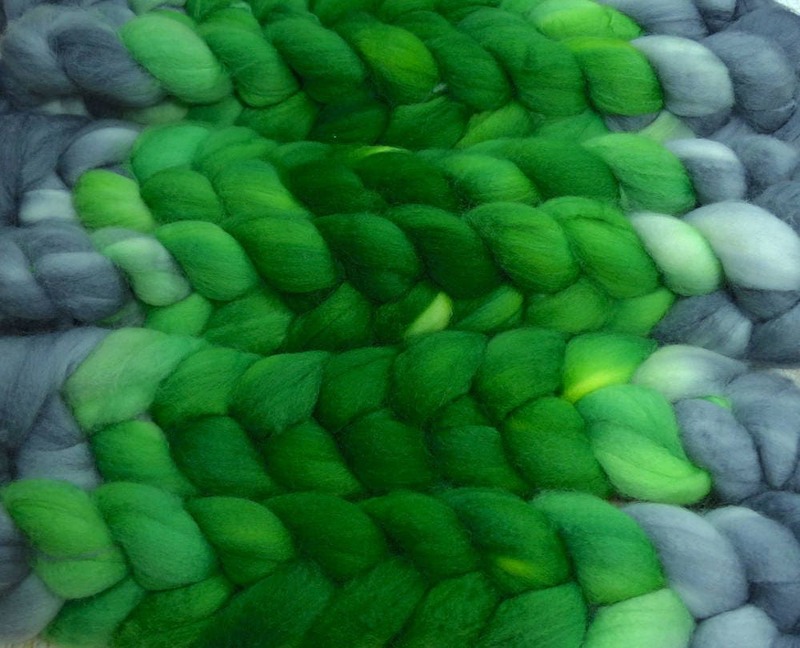 We LOVE this fiber! I bought it for my eldest son to learn to spin with. He loves to watch me spin and helps me wind Yarn balls when the bobbins are full. 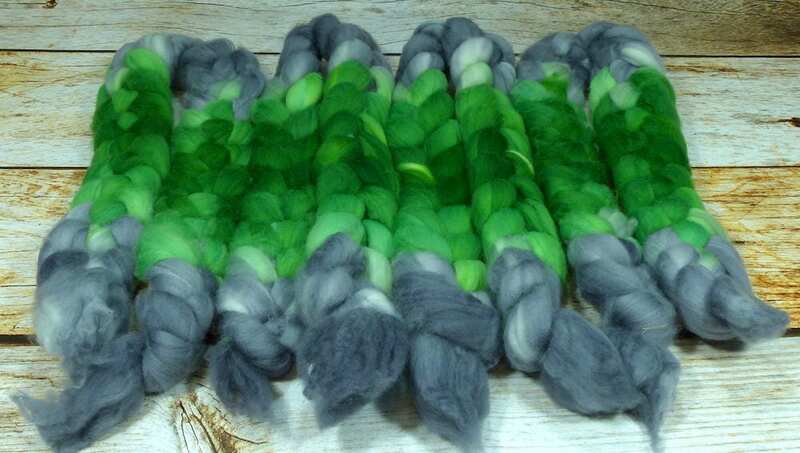 He has been wanting to begin delving into the fiber arts, and this product was the perfect choice! 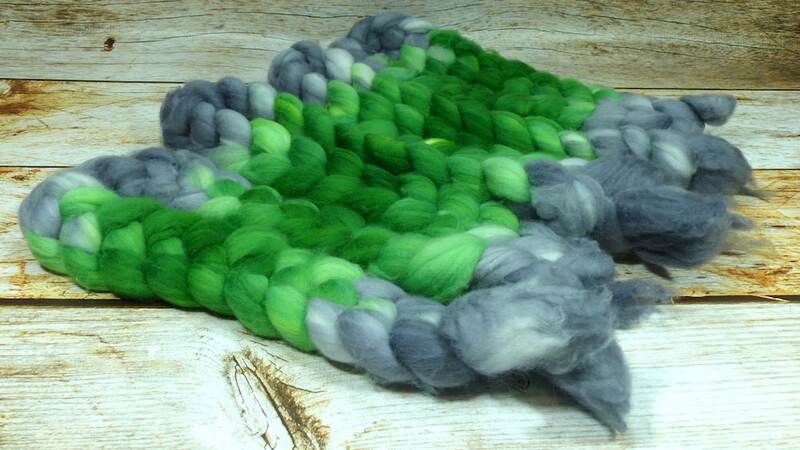 He chose this colorway because he loves Minecraft and it reminded him of Mossy Stone and Creepers. 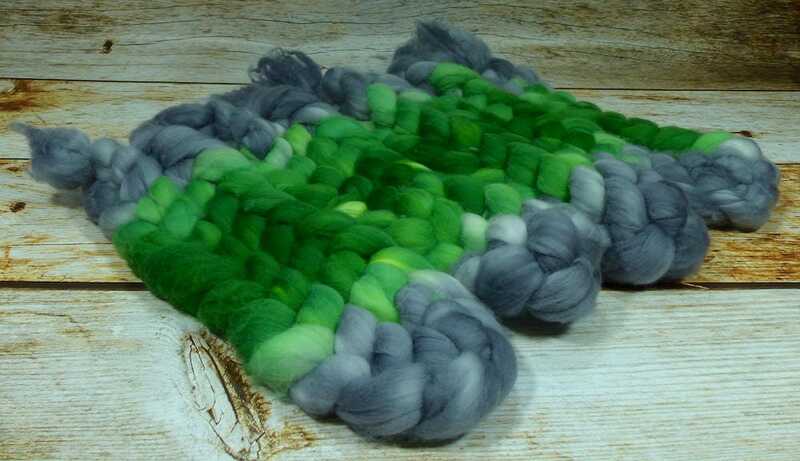 We love her colorways and the quality of the fiber!